When returning from active duty and transitioning to civilian life, one of the first things a soldier must do is find a job. While military service provides many critical skills that can translate well into civilian jobs, sometimes the transition itself and communicating those skills to a non-military hiring manager is a big challenge to overcome. Sadly, for many veterans, this can be a battle, even after fighting for our country for years. According to the Bureau of Labor Statistics, the unemployment rate of veterans is dropping, declining from 4.3 percent to 3.7 percent in 2017. However, of those veterans who are unemployed, 59 percent are between the ages of 25 and 54, which indicates the working-age veterans are the ones having the biggest problem finding work. Also, even younger veterans, those between the ages of 18 and 25, continue to have a hard time both finding and keeping a job. That may sound like poor statistics, but the truth is that programs assisting both veterans and employers are helping to make a difference. The key is to help veterans connect with those programs so they can find the training they need and the available jobs that are hiring people with their skill sets. Also, some jobs are perfectly suited for members of the military. All it takes is a little knowledge about how to translate military skills to the civilian workforce and find jobs that build on your skills. This guide is designed to help today’s veterans overcome the challenge of finding a job, translate their abilities into marketable skills, and land a civilian job where they can thrive. In the military, you learn discipline, leadership, strategic thinking, efficiency, and in many cases, highly technical skills. All of those skills have real-world applications that are valuable in the civilian workforce, but it’s not always easy to see how. Here are some tips to make it easier for you to capture your military skill and translate them into a new civilian life. Put physical fitness to work in construction. The construction industry can be a great place for veterans to find work. Since the military builds temporary and permanent structures regularly, many veterans already have experience in this field. Use physical fitness in landscaping. Tap into military strategy in law enforcement. Soldiers have already proven that they can work in tense, stress-filled scenarios, and law enforcement jobs put those skills to good use. Embrace tech training in technology-centered jobs. Today’s soldier works in a high-tech environment, and many get on-the-job training using sophisticated computer navigation, surveillance, logistics, data, and communication systems, which can land them good jobs in the tech world after discharge. Use military skills in car or aircraft mechanic jobs. Working on aircraft and military vehicles in the field is good preparation for similar maintenance and repair work in the civilian world. While many jobs are perfectly suited for military people, finding them can be a challenge for many veterans who might never have made a resume or been on a job interview before. Here are some of the specific challenges that veterans sometimes face when starting a job search and ways to mitigate these challenges. Understand the mind shift from “we” in the military culture to “me.” This is, perhaps, one of the biggest shifts that a member of the military can make mentally. In the military, you are a part of a group, where everything is done for and with the group. The military teachers “service before self,” which can make it difficult to learn to promote yourself as you must do in a civilian job. While you still need to be a team player, your focus needs to shift inward a bit in civilian work. Be prepared to negotiate your salary. Soldiers have little room for negotiation for their salary and benefits packages. Civilian job hunters do. Before accepting a salary that you are being offered, make sure it is fair, and be willing to negotiate for better or different terms. Know that civilian jobs aren’t always secure. One of the benefits of living in the military is the fact that, as long as you follow the rules and stay fit, you have job security. You know what is expected of you, and if you can perform those expectations properly, you won’t have to fear for your job. This is not the case in the civilian world. Companies can downsize or go bankrupt with little notice, leaving you in search of a new job. Staying connected to the job market and keeping skills up to date will help reduce the risk. Learn to think outside the box. In your military career, your job was to obey orders without question. Working with your new civilian work team will be different. Thinking creatively to find solutions to problems, rather than just following orders, is encouraged in civilian workplaces. Learn to sell a personal brand. After shifting from “we” to “me” in your focus, you must learn how to sell yourself as a personal brand. Determine who you are as a worker, and craft everything you use in your job search around that. 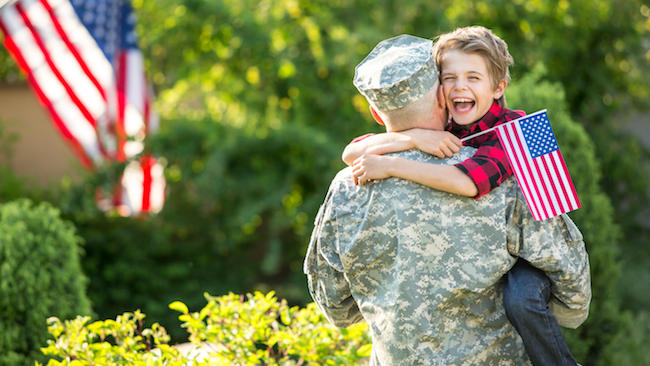 As you start the search for a civilian job, it’s important to know that there are several significant benefits to your veteran status, beyond the financial and other perks you got with your discharge. The skills, character training and abilities you learned in the military will give you a distinct advantage in your job search. The key is knowing how to highlight them well. Here’s a closer look at how to embrace these advantages as you search for a job. Acknowledge that veterans have many skills that translate into civilian jobs. The key to making those skills work for you as you search for a job is learning how to pinpoint them. Take note of the high-level technology training you have received. In general, most vets have more high-technology training than their similarly-aged peers. Make sure that you highlight this in your resume and interviews. Perform a skills inventory to identify important skills. A skills inventory looks at the skills you have and how they might translate into your civilian life. Use a Military-to-Civilian Translator. O-Net has an excellent tool that will help you translate your military experiences into beneficial skills for civilian employment. Simply type in your military job code or title into the translator, and a list of matching civilian job skills is generated that you can add to your resume. Use your Field Service Record to detail your skills. After leaving the military, veterans will receive a Field Service Detail. This will showcase the training and skills learned during the time in the military. This can be proof to potential employers of your abilities. Understand the advantages of being physically fit. 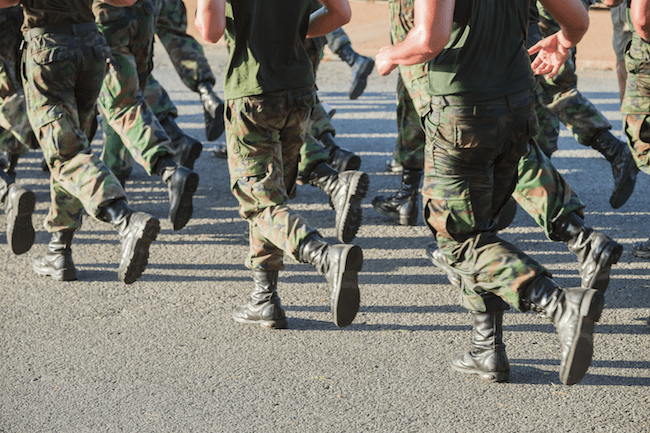 Members of the military must stay in good physical health to perform their military service. This can be a benefit to them in their search for a civilian job. Embrace the confidence that comes from being in the military. Being a skilled fighter or filling another role in the military brings confidence and a high level of resiliency. Highlight the benefit of being able and willing to relocate. Moving is simply a way of life for members of the military. You can highlight your flexibility for a quick location change, and if you still have relocation benefits from the military, be sure to mention this. This saves your hiring manager money if they are recruiting over a long distance. Focus on your education. One of the perks of being in the military is the education you receive throughout your training. Focus on this as one of the benefits of hiring you. Take advantage of all of the potential certifications and licenses you can train for while in the military, and then add them to your resume. Unfortunately, civilian job searches for veterans are not without their challenges. Knowing what these challenges are and having a plan to mitigate them will make them slightly less of an issue as you head out there in search of a job. Realize that your military skills may have different names in civilian jobs. Even though they translate well into civilian jobs, your military jobs may not be called the same thing. Find out what the layman’s terms are for the military skills you have obtained, and then use the right jargon when you head into your interview. Recognize the real problem of civilian disconnect. There is a disconnect between members of the military and their families and the general population. Lack of understanding of military culture and an inability to accept the civilian way of things can create problems in job searches. Recognize this problem, and learn to make an effort to overcome it in your interactions with civilian employers. Understand that hiring managers may not appreciate military experience. Hiring managers who are not familiar with the military may not fully appreciate all of the benefits of hiring a veteran. You must learn to convey those benefits in your resume and your interview, appearing confident and skilled. Learn the interview skills you need. People who join the military right out of school may never have any formal job interviews or job interview training. Find a way to practice for interviews, so you appear confident and capable. Find ways to quantify achievements. Successful interviews will have numbers to back skills. Take a look at your skills inventory, and find ways to quantify any of the skills that you have. This is often an excellent way to highlight leadership skills in particular. Saying you led a squadron of 100 men shows your leadership potential. However, make sure to phrase your experience in a relatable way. Instead of saying you lead a squadron, say you were responsible for or managed a group. This is phraseology that hiring managers look for and understand. Build a resume that highlights the right experiences. Your experience in the military is a benefit, but you must build a resume that highlights it correctly. Focus on the skills, rather than the time spent serving, so your resume stands out. Overcome preconceptions about hiring veterans. Unfortunately, some hiring managers have preconceptions about veterans. They hear stories about vets that are fighting PTSD or dealing with severe injuries and resulting handicaps, may fear to hire a veteran. The best way to fight these misconceptions is to communicate your value well and talk candidly about your military experience when interviewing. Highlight the right soft skills to overcome missing work experience. Sometimes veterans lack the practical, real-world work experience that hiring managers want, but they can overcome this with the soft skills their military careers gave. Don’t underestimate the value of soft skills, like problem-solving, leadership, working well under pressure, discipline and ability to work as a team, that you earned in the military. Highlight these in your resume and interview. 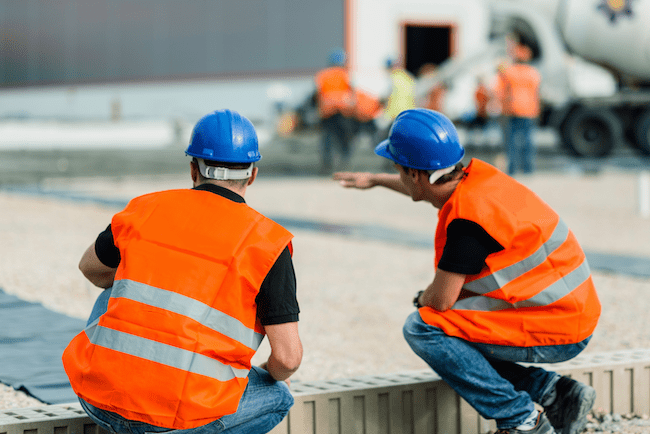 Construction – The construction industry is seeing explosive growth as the economy continues to improve after the recession. The Bureau of Labor Statistics anticipates job growth as high as 14 percent. Construction has opportunities for both men and women, with an average annual salary of over $62,000. Construction work builds on skills like organization, leadership and physical abilities that many members of the military have. Operations Managers – Operation managers, help companies improve the efficiency of their operations. They often coordinate work between different departments and may manage people. Other titles for this job may include manager or superintendent, and the potential pay is as high as $100,000 per year on average. This particular field has a slightly lower projected job growth of around 9 percent. The leadership experience that many receive in the military is a benefit in this field. IT Systems Manager – Combining IT experience with leadership experience, an IT systems manager helps oversee the computer activities of an organization or company. Like construction, IT Systems Manager jobs have a much higher than average rate of growth, with growth expected at around 12 percent. Veterans who worked with technology and pursued an IT education while in the service will be ready to take these jobs. First Line Supervisor Mechanics – This job field combines mechanic skills with leadership skills. First line supervisor mechanics supervise teams of mechanics in repair shops or fleet management. This particular job field has an anticipated growth rate of between 5 and 9 percent, but it is a field where military skills are readily accepted as hiring managers to understand the combination of real-world and leadership skills that military leaders have. Cyber Security Analyst – This field is seeing tremendous growth as cyber attacks are increasing exponentially. Many military members who work in IT already have on-the-job experience in fighting cyber attacks, since the military’s systems are prime targets for hackers. This makes this field a strong one for the right veterans. The best benefit of this field? The job growth potential is 28 percent, and the expected annual salary is over $90,000 on average. 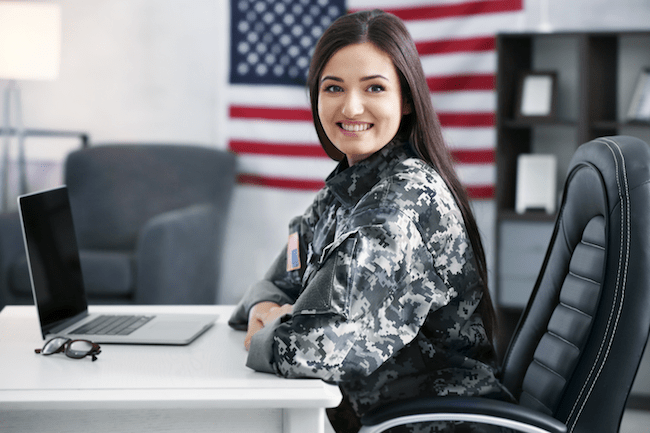 Software Applications Developer – The in-depth IT training that often goes along with military service gives veterans the right tools to develop apps and software. This is a high demand field as companies are constantly in need of new software to reach their target markets and perform internal functions. High job growth potential of 24 percent and an average salary of over $100,000 added to the appeal of this line of work. Electricians – Electricians are always in demand, as people need trained professionals to help them with electrical work. Many veterans get electrical training as part of their military careers, making this a natural transition. The expected job growth in this field is around 9 percent, with average salaries of over $50,000. Diesel Technicians – The fleet industry is facing a shortage in diesel technicians, which means these jobs are going to be easy to come by shortly. Veterans who have experience working on military equipment can easily translate those jobs into diesel engine work. Diesel techs get slightly higher pay than regular mechanics, and the job growth potential is expected to be around 9 percent. Aircraft Technician – For soldiers who worked on military aircraft, a career in the aircraft repair industry is a natural transition. Though the job growth isn’t expected to be tremendous in this field, job security should remain, as there will always be a need to fly people and product around the world. The average salary in this field is around $60,000. Web Developer – If you have creativity and love technology, consider a career in web developing. You won’t need any training other than learning how to code to tackle this job, so your military training should suffice. The explosive job growth potential, expected to be around 15 percent, combined with the entrepreneurial opportunities in this field make it a great choice for veterans. Security Systems Technician – No one understands security quite like someone who has served in the military. These professionals install, repair, maintain and program security systems for homes and businesses. It has a job growth potential of around 14 percent. Landscaper Architects – The ability to create beautiful landscaping is always in high demand, and a military member’s physical fitness and creativity can translate well into this work. Landscape architects can expect to earn around $65,000 per year on average, and growth is steady in this field. Law Enforcement – A skilled soldier can also be a skilled law enforcement officer. This field has income potential of an average of $62,000 and average, steady growth potential. The rigorous physical and personal qualifications are easy for most members of the military to meet after their tours on active duty. Agriculture – Farmers, rangers and agricultural management jobs are on the decline. While these jobs do tap some of the skills of veterans, you will want to consider a different field in your job search if you’re looking for job security. Data Entry – If you can type quickly, data entry is a good field, but it sees a decline in demand. You will be better off putting those typing skills to use elsewhere. Food Service Managers – Your mess hall experience may make you highly qualified for this field, but you won’t find much demand anymore. Computer Operators – IT jobs are often a good fit for members of the military, but general computer operator jobs are on the decline. Perhaps this is because most office personnel now know how to operate a computer properly. Consider more in-depth training to help you find computer work. In addition to finding the right field to work in, veterans also must choose the right geographic area to settle in where jobs in that field are plentiful. Here are some tips that might help. Look near big cities for IT and management jobs. Big cities tend to attract tech and manufacturing companies, both of which need IT pros and managers. See where development is occurring. Development means the need for construction work and skilled mechanics, so look for areas of the country that are seeing explosive growth. Reach out to potential employers before making a move. It’s not uncommon for someone to find a job then move, so consider applying for jobs in your skill set then choosing your location once you’ve found work. Many jobs require qualification or certification, which is an important step in the transition between military life and civilian life. Here are some tips to help you find and acquire the certifications you may need for your future career success. Research the job you are considering to see what qualifications are required. Not every job requires specific qualifications, but those that do are often quite strict about those requirements. Research what you need to do ahead of time. Consider state or city-specific needs. Some certifications are national, while others are offered on a state or even country or city basis. Determine what you will need for your career field. For example, to start a career in HVAC repair, you may want to invest in NATE certification. This is a national certification. However, if you’re considering a career in nursing or a medical field, you will need to look into local certification. Consider a transfer of certification. Did you earn any credentials in your military career? They may transfer easily into similar civilian certifications, so look into those options. Credentialing is one of the easiest ways to show your skills and transfer those skills to civilian jobs. Check into apprenticeships. Many careers offer apprenticeships that allow you to earn your accreditation while training on the job. Plumbers, for example, must complete an apprenticeship before applying for a state plumbing license. Ask potential employers to pay for accreditation. Sometimes an employer who is impressed enough with an applicant will offer to pay for accreditation or other qualifications. Ask about this when applying for your job. This tactic is easier in high demand fields where there are not enough workers to fill the available jobs. Know where to get certified. If you did not get credentials in your military career, you need to know where to get certified. Professional organizations in your career field, trade schools, colleges, universities and state boards for your chosen career are all places where you can get certification. Thankfully for veterans, many organizations offer programs to help them achieve certification or receive job training. These programs, most of which are free, can help you get the certificates or licenses you need to launch a successful civilian career path. Take advantage of these programs to help you make sense of the transition period. Here are some organizations who specialize in training veterans for civilian jobs. Veterans’ Employment and Training Service – A service from the Department of Labor, VETS offers some programs that assist veterans in making the transition to civilian jobs, including job training programs. Assistance from the VA – The Department of Veterans Affairs offers apprenticeship opportunities that allow veterans to get the training they need on the job while pursuing their civilian careers. Hire Heroes USA Training Programs – Hire Heroes USA has some training programs available to help members of the military get back into the working world or start a new career after their time in service. Free Apprenticeship Programs for Veterans – GI Jobs lists some free apprenticeship programs designed specifically for veterans. Career One Stop – Career One Stop offers some tools and opportunities for veterans seeking to transition into civilian life. Onward to Opportunity – This program partners with local universities and private sector organizations to provide no-cost, industry-focused training, and career skills education for those transitioning from active duty to civilian life. Onward to Opportunity also provides training to military spouses. Veterans Inc. Employment & Training Program – This is a nationally-recognized program that helps veterans get and keep jobs, partnering with businesses and educational institutions in New England to provide training, career assessment, job search support, and job placement services. Free Custodial and Janitorial Certification for Veterans – HirePatriots.com offers a comprehensive list of free certification courses for veterans that allow them to learn important skills for cleaning and custodial jobs. Leaderquest IT and Cyber Security Training – This program focuses on training veterans for IT and cybersecurity jobs. After finishing the training, vets will be qualified as Department of Defense 8570/8140 credentialed IT professionals. Cisco Veterans Program – The Cisco Veterans Program provides both networking and job search opportunities as well as the Cisco Networking Academy, that helps them learn important IT skills. Power 4 Vets – This program from IncSys, Inc., is designed to help veterans find careers in the energy sector through online training programs and job placement services for veterans. Veterans Multi-Service Center – The Veterans Multi-Service Center offers on-site training programs that give veterans the skills they need for jobs that are currently in demand. Each veteran who attends the program gets a job developer who serves as a case manager to help the veteran ultimately find a job. Not all job opportunities require veterans to work with companies. Often the skills and abilities learned in the military translate well into starting one’s own business or other entrepreneurial opportunities. The extraordinary discipline that members of the military gain throughout their service can make them skilled business owners because they can stick to a task through completion. Branching out on your own to start a business can be quite intimidating. Here are some important considerations to make if you are seeking the entrepreneur path. Determine your level of risk. Being an entrepreneur is not without its risk. Determine if you are willing to shoulder that risk. Do you have financial savings to fall back on, or would you be putting your entire family at risk if your business endeavor fails? Is that a risk you are willing to take? Consider your skill set. What skills do you have that could translate into a business opportunity? Look at the skills inventory you created and ask yourself how those would translate into a business. Consider your interests and passions. Most entrepreneurs are successful because they are passionate about what they do. What are you passionate about? Is this something that you could turn in to a business? Look into funding. It takes money to start a business, but luckily there are some funding sources you can consider to get the funds you need to start your business. Research your options to determine where the money will come from. Get some business training. Being an entrepreneur requires some business knowledge and understanding. Get some business training if you lack in this area. For veterans who would like to branch out and start their businesses, some resources exist to help. Here are some opportunities and resources for veterans who are considering entrepreneurship. Institute for Veterans and Military Families Free University Entrepreneurship Training – IVMF organizes some entrepreneurship training options for veterans, including the Entrepreneurship Bootcamp for Veterans with Disabilities, as well as a similar program for veterans families and one for female veterans. The main program includes a 30-day online course followed by a 9-day residence program. 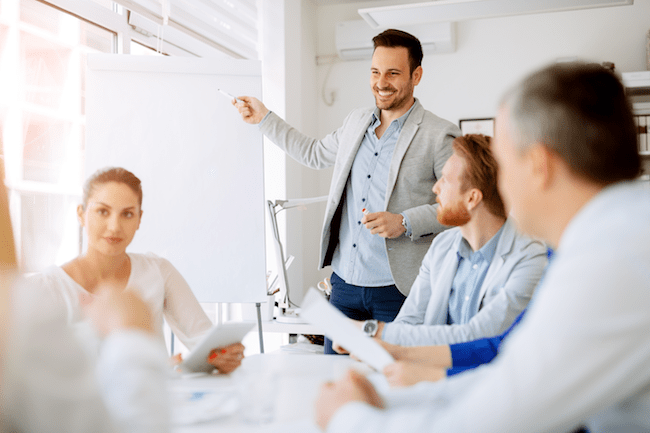 Patriot Boot Camp – The Patriot Boot Camp is a program that trains veterans, active duty military and their spouses on the principles of entrepreneurship. This is a three-day boot camp hosted in numerous cities to teach veterans how to become innovators, entrepreneurs, and creators in the modern economy. Launch Lab Online from Bunker Labs – Launch Lab Online gives veterans the jump start they need to start their businesses. It provides entrepreneurship education through videos and online courses, as well as homework and self-assessments designed to let you determine how far your learning has taken you. StreetShares Foundation Veteran Small Business Award – The StreetShares Foundation provides grants to veterans who are ready to start their businesses. Veterans with businesses that are legal entities that are poised to have a social impact on the veteran community can apply for awards which are as big as $15,000. VetToCEO – VetToCEO offers online education programs specific for veteran entrepreneurs. What makes these programs unique is the fact that they are taught by veteran entrepreneurs who clearly understand the need in the field. They are free and available online for convenience, though the core entrepreneurship program is offered on occasion in in-person meetings. Small Business Administration’s Office of Veterans Business Development – This branch of the SBA offers small business programs to veterans, including services like business training, counseling, referrals, and transitioning services. They have programs designed for all veterans, including women vets, reserve and National Guard members, and disabled veterans. Office of Veterans Affairs Veteran Entrepreneur Portal – The Veteran Entrepreneur Portal gives vets direct access to the resources they need to work through entrepreneurship. Center of Excellence for Veteran Entrepreneurship – The Center of Excellence for Veteran Entrepreneurship offers resources for veteran entrepreneurs for every step of the process. The days and months after a veteran leaves active duty service and starts searching for a civilian job are an important time. This is when a veteran can dip into that military experience to use it in search of a new job. With the right knowledge and understanding, as well as the myriad of resources available to today’s vets, you can put your military training to good use, overcome the obstacles associated with transitioning and start a career that is rewarding and financially beneficial. As long as you understand the challenges you face and how to mitigate them best, you will come out on top with the best possible civilian job.